WELCOME HOME! This move in ready , 3-4 bed raised ranch has been tastefully updated throughout and is ready for a new owner to call this their next home sweet home! Updates galore including GLEAMING REFINISHED HARDWOODS, freshly painted interior and exterior, remodeled kitchen with new cabinets, granite counter tops and stainless steel appliances. Upgraded bathroom with new vanity and tile floor and shower. 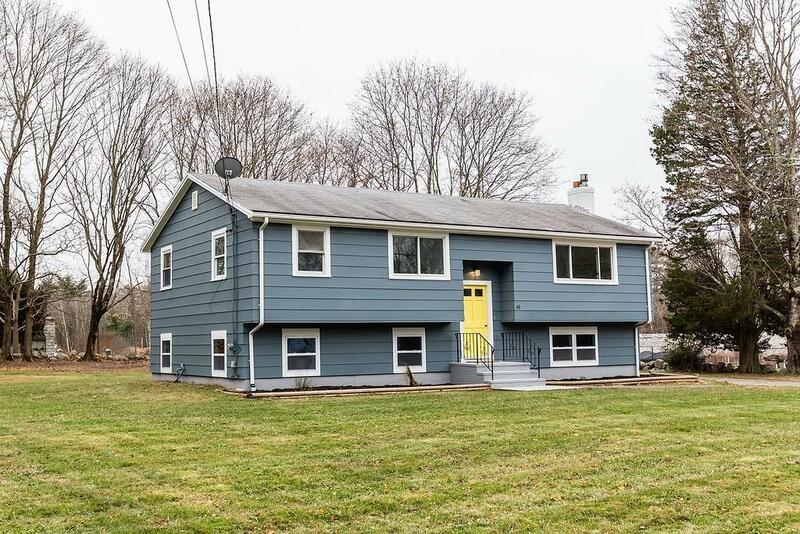 Updated light fixtures, FULLY FINISHED WALK-OUT basement with a spacious master bedroom with recessed lighting , an additional family room with cozy fireplace, new vinyl floors , and plenty of space and potential to install a second bathroom. GAS HEATING, CENTRAL AIR, HUGE BACKYARD, over-sized driveway can easily accommodate 8 cars. Brand new septic system to be installed prior to closing. This property is a must-see and priced to sell!